Program #BROL001. Recorded in Amherst, MA on July 9, 2004. The global demand for food and fresh water continues to rise. But world grain production is down. And we’re depleting groundwater at an unsustainable pace. Global temperatures are rising rapidly due to emissions from cars, factories and power plants. Plan A; maintaining the status quo thru over consumption of resource, is not working. In a science fiction movie, Plan B might mean moving to another planet. But in the real world, it means telling the ecological truth in economic and policy decisions. It means faster movement to current sustainable technologies, solutions that are not science fiction but exist right now. Lester Brown is the president of the Earth Policy Institute. 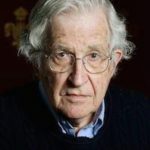 The Washington Post calls him “one of the world’s most influential thinkers.” In 1974 he founded the Worldwatch Institute, the first research institute devoted to the analysis of global environmental issues. He is the recipient of many awards including the UN Environment Prize. He is the author of numerous books including Plan B 4.0: Mobilizing to Save Civilization, World on the Edge, Full Planet, Empty Plates and Breaking New Ground.